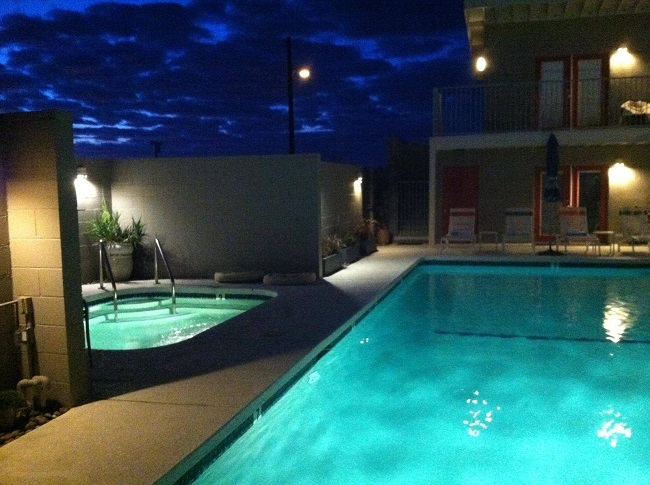 Our city is known world-wide for its natural, healing, hot mineral water springs. Built over one of the world’s finest natural hot mineral aquifers, these healing waters attract spa enthusiasts from around the globe. It was the natural mineral-rich waters that gave birth to our city of Desert Hot Springs and its popular destination as California’s Spa City. Have you ever relaxed into a hot bath and poured in some mineral salts for extra pleasure? Well, that’s a pale imitation of the real thing. For centuries, people throughout the world have taken the waters by soaking in hot mineral springs. Hot or cold, our mineral water is unique. It has no smell, unlike lots of other mineral waters. It’s crystal clear too, never discolored like some other waters. And it has its own special feel. Some call it silky due to its high silica content. Everybody calls it delightful. Not only can you soak in our water; you can drink it too. That’s because we have under-ground cold water springs that are just as pure as our hot water springs. Think of it as hot and cold running water. Instead of turning a faucet, though, we pump the water directly out of the earth. The cold water is just as pure as the hot water. And it’s delicious too. In fact, our municipal drinking water has won gold, silver, and bronze medals over the last few years in an annual international water competition. Our unique natural waters originate from the pure snow run-off of the nearby San Gorgonio Mountains. That makes us a modern day city that has no need to filter its tap water… So, leave your bottled water home and drink up! 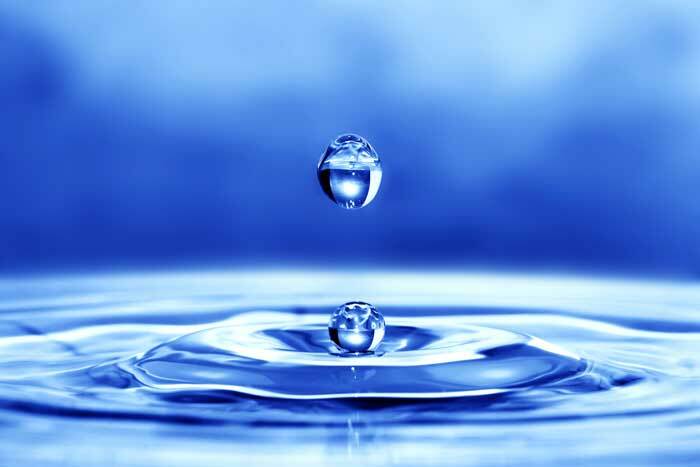 Balneology is the scientific study of the therapeutic benefits of natural mineral waters. And it’s especially advanced in Europe and Japan, where balneologists have studied the healthful effects of geothermally heated mineral waters. 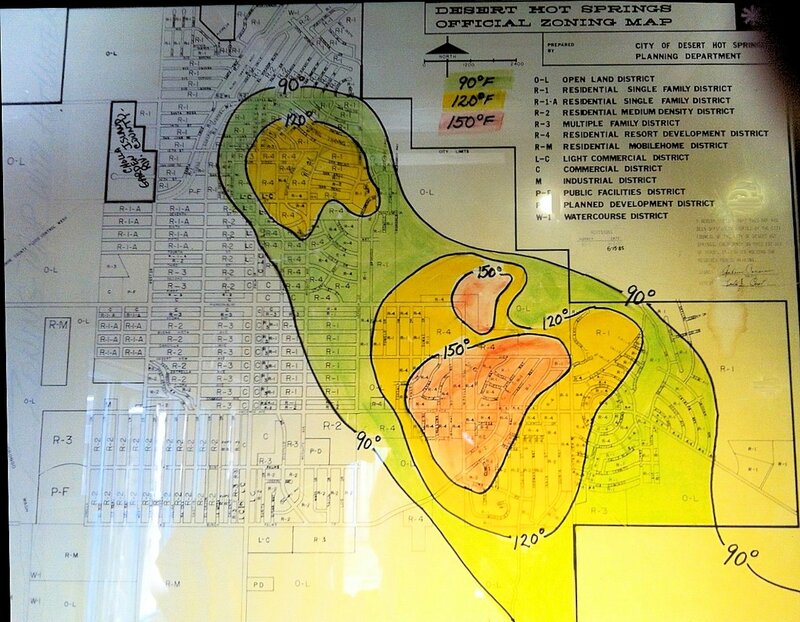 Though Yerxa was unaware of it at the time, Desert Hot Springs’ natural hot mineral waters originate from the Desert Hot Springs Aquifer, which continues to be heated by ancient geothermal forces thousands of feet below the earth’s surface. Naturally heated to temperatures as high as 180 degrees, for centuries the waters have been believed to hold curative powers. When the first scientific analysis of the hot mineral water was performed in 1937, its therapeutic value was affirmed. Yerxa also discovered the Mission Creek Aquifer. For hundreds of years before his discovery, the aquifer had provided habitat to wildlife and sustained Native American peoples. Today, Desert Hot Springs’ groundwater is ranked among the nation’s best. Desert Hot Springs Inn invites guests and travel aficionados to an exceptional and exclusive private vacation experience. © Copyright 2017 Desert Hot Springs Inn | All Rights Reserved.